The following was written by Paige Mattson of Sprout Bottle. 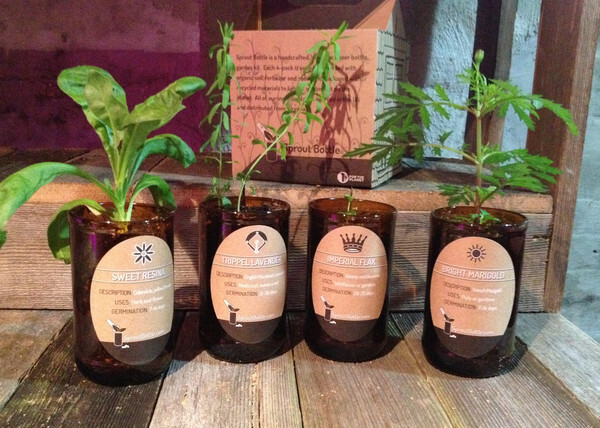 Sprout Bottle is a handcrafted, reclaimed beer bottle, garden kit. Each 4-pack is uniquely blended with organic soil, fertilizer and seeds and packaged with recycled materials to lighten our impact on the planet. All of our ingredients are sourced in the US and distributed from Virginia. 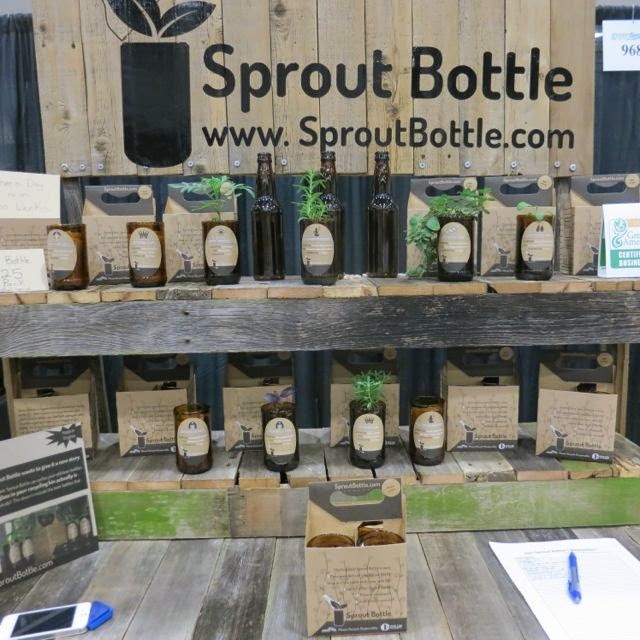 Sprout Bottle strives to provide a high quality, unique product that is sustainable and affordable. As part of our commitment to be sustainable, Sprout Bottle has partnered with 1% for the Planet. This means that 1% of all Sprout Bottle sales goes to save land, protect forests, rivers and oceans, make agricultural and energy production more sustainable, getting toxics out of the environment, plastics out of the oceans and more. 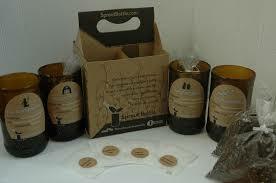 You can find more about Sprout Bottle on their website, Facebook Page and Twitter Feed. The following post is by Herban Lifestyle interns, Maggie Mascarenhas and Chelsie Lawrence. August is National Water Quality Month, so we will be dedicating the next few weeks to posting tips on easy ways to conserve and protect our most precious element! We also thought it would be fun to share with you some of the ways that we at Herban Lifestyle strive to do our part to save water. Herban Lifestyle products are free of chemical preservatives like parabens and phthalates, which are known endocrine disruptors (hormone-mimicking compounds that interfere with your body’s normal hormone function stimulating cancer development and triggering immunity, fertility, metabolic, developmental and cognitive problems). Endocrine disrupting chemicals can be found in a wide variety of personal care products, cleaning products, toys and even food. Not only are these chemicals bad for human health, but when we use them, they end up in our water systems, polluting the water and causing health problems for fish and amphibians. All of our plant-based ingredients are carefully screened to make sure they are grown without pesticides, which prevents water pollution through runoff from the farms where they are grown. By preserving these water systems, we not only protect the animals that call these systems home, but also help ensure that future generations of people will have clean water to drink. And since all of our products are made with natural ingredients, such as certified organic vegetable oil, instead of harsh chemicals, they are all completely biodegradable. Our rain barrel captures waters for our gardens, we use ENERGY STAR appliances (ENERGY STAR qualified dishwashers save, on average, 1,300 gallons of water over their lifetime), we filter water for drinking rather than buying bottled water, and we don’t make water-based products (which saves water, uses less packaging, costs less to ship and negates the need for preservatives). At Herban Lifestyle we carefully research our suppliers to make sure that they use environmentally sustainable practices, including water conservation. One of our main essential oil suppliers, Mountain Rose Herbs, is also a Green America Gold Certified company and embraces sustainability and environmentally responsible manufacturing processes. The Mountain Rose Herb River Project, for example, focuses on cleaning and sustaining river ecosystems, stream health, and fish habitats. By only using suppliers that adhere to a strict standard of water conservation and preservation, we further cut down on our water waste and help minimize water pollution. We realize there is always more that we can do to protect this most precious of commodities. 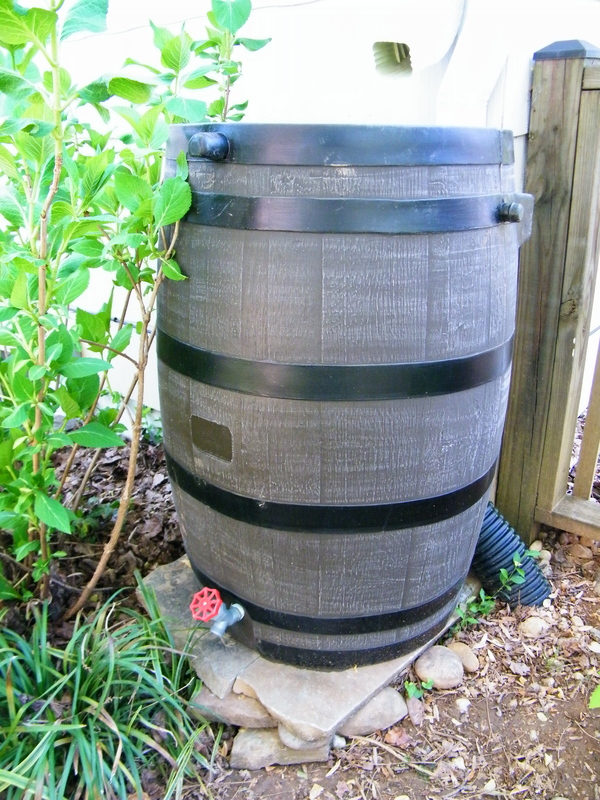 What are some of your favorite water-saving/preserving tips? The following post is by Michael and Mary Devito, Owners of Naked Botanicals Apothecary, the Herban Lifestyle July 2014 Artists of the Month. Rise up, friends! We’re empowering adults, children, pets–anyone with skin!–to take a stand against unwelcome advances by would-be predators. We’re arming you with certified organic ingredients and intoxicating aromas, straight from our nation’s capital. YUM. Our organic bug spray harnesses the mighty superpowers of…Lavender! Citronella! Peppermint! Which smells like you ran nekkid holding candy canes through lavender fields in Provence. (That’s in France.) And look, Ma! 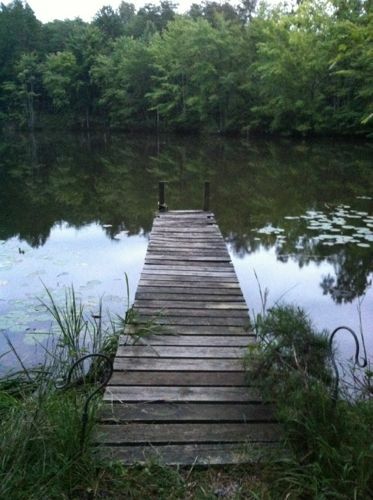 No itchy, nasty mosquito bites. Best. Summer. Ever. We take a bold, citrus bouquet of lemongrass, citronella plus energizing peppermint then round it out with woody lavender and cedarwood notes to create our signature intoxicating scent. YUM. Not only does it repel biting insects, but the witch hazel-based elixir also refreshes and purifies your skin in high heat and humidity. Certified organic essential oils of lavender, cedarwood, citronella, lemongrass and peppermint are potent, naturally-occurring insect repellents. Effectively repels mosquitoes, ticks and biting insects for up to 4 hours. Contains NO nuts, gluten, dairy, chemicals, dyes, fragrances or preservatives. Safe for the whole family: adults, children over 6 months of age, those with sensitive skin, even pets! Proudly made in small batches in the USA. Each durable, recyclable PET plastic bottle contains 4 fluid ounces. Please recycle. The following post is by Emily Landsman, Owner of EHL Creations, the Herban Lifestyle June 2014 Artist of the Month. I have been a photographer for more than twenty years and enjoy finding new ways to look at ordinary objects. 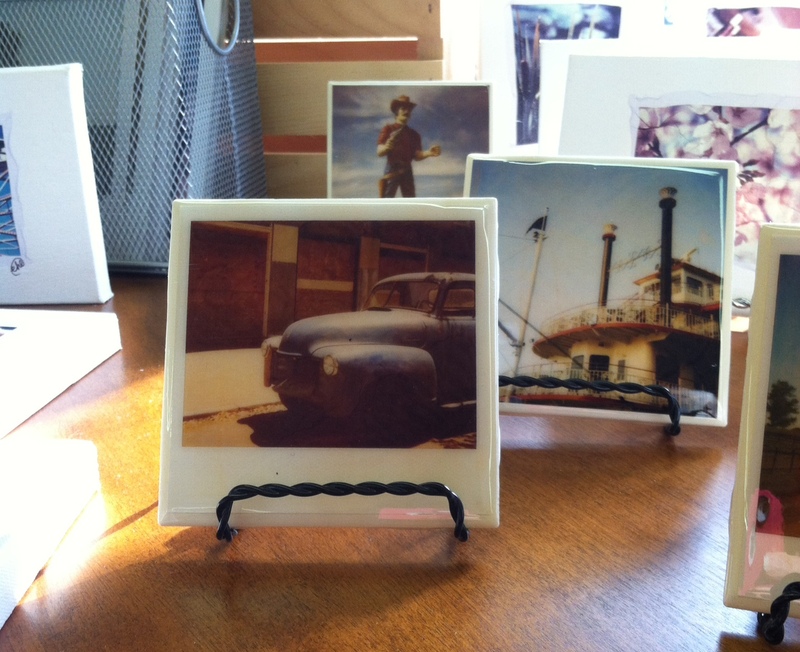 I love taking kooky pictures with my many different Polaroid cameras and using the images to make greeting cards, belt buckles, tiles, magnets and more. 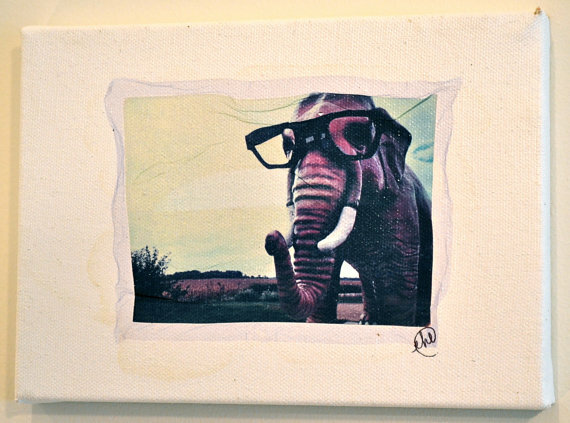 Polaroid transfer prints are made by under developing Polaroid pull-apart films and transferring the images to non-photographic surfaces. The resulting images have an antique or ethereal quality. 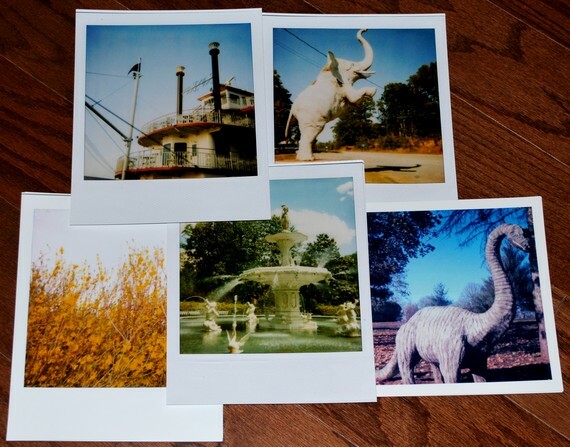 Polaroid image lifts are made by developing Polaroid pull-apart films as normal, soaking the image to remove it from the paper backing, and transferring the emulsion to non-photographic surfaces. Each print is different and has its own characteristics. You may have heard that Polaroid is no longer producing instant film. I collected dozens of packs of several different types of film for my artistic usage before they became unavailable. Once all existing film is used, this transfer process will no longer be possible, making these images all the more unique. On Saturday, April 26th, and Sunday April 27th, thousands of New Yorkers are expected to attend Green Festival New York at Pier 94. Green Festival will bring together the most trusted companies, innovative brands, national and local NYC businesses, pioneering thinkers, and conscious consumers to Pier 94 to promote the best in sustainability and green living. Green Festival offers something for everyone, with the widest selection of products and services to work green, play green and live green – from food, fashion, pets, kids, yoga and health, to energy, construction and design. People can shop and enjoy vegan, vegetarian, organic foods, hands-on demos, educational activities and learn from inspirational speakers. There will be speakers and performers throughout the day, including following. More speakers will be announced as we get closer to the event dates. And this year, Green Festival will introduce the new “Green Festival Award,” which will recognize the achievements of companies and brands that are transforming the way we live with innovative green solutions. The Green Festival will be held on Saturday, April 26, 2014 & Sunday, April 27, 2014 10:00 a.m. – 6:00 p.m. at Pier 94 in midtown Manhattan at 55th Street and the West Side Highway. The best subway stop is the 59th Street, Columbus Circle. For more information about Green Festivals, visit http://www.greenfestivals.org. You can also follow them on Twitter at @GreenFestival. Green Festivals, Inc. organizes Green Festival®, America’s largest and longest-running sustainability and green living event. Green Festival is a vibrant, dynamic marketplace where companies and organizations come to showcase their green products, services and programs, and where people go to learn how to live healthier, more sustainable lives. Green Festival is inspiring and empowering consumers, communities and businesses to work green, play green and live green. Based in Asheville, North Carolina, the organization produces Green Festival events in Chicago, Los Angeles, New York, San Francisco and Washington D.C. The following post was written by Cynthia Brevlin, Owner and Founder of Karmalades, the Herban Lifestyle Store Artist of the Month. During the month of January, Cynthia’s eco-luxurious cleaning products will be featured at our new brick and mortar store in Fairfax, VA. Physical Therapist by day, eco luxury cleaning maven by evenings/weekends, I take old school ingredients that grandma used to clean her house…baking soda, vinegar,etc and whip them up into fun, natural…and even a little luxurious dare I say … household cleaning products. My concoctions are not only effective but will surely bring a smile to your face every time you use them. I believe that being green can and should = luxury. I also believe in Karma, or simply put – what goes around comes around. The contents of every bottle that we pull off of the shelf will eventually have some effect on our precious earth. With this in mind when developing my line, it was really important to me that my ingredients were easily recognizable to the customer and naturally derived…absolutely no synthetics! It was also clear that the packaging had to be sustainable. Glass and tin not only look and feel luxurious, but they can also be indefinitely recycled. And if these materials happen to end up in landfill, they have no adverse effect. Cynthia Brevil, founder of Karmalades, is a physical therapist, health conscious crafter, painter, tiler, cook, foodie … and a true lover of all things eco-friendly and luxurious. 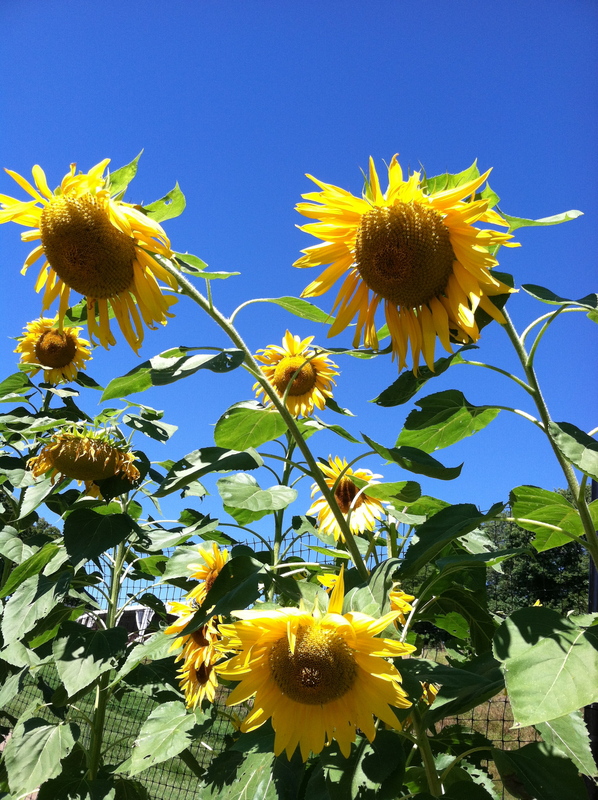 The following is a guest post by Liz Nelson, a freelance writer based in Houston, TX. Pecan Tree – The Pecan tree is not only a large shade tree but it also produces very tasty nuts. The Pecan tree typically produces the biggest harvest in warmer climates and does well in areas with lots of rain and sunshine. Pecan nuts form with a bright yellow-green skin over the nut. As it ripens the skin starts to pull back until the ripe nut falls out of the tree. There are several varieties of Pecan trees, some of which have larger or more flavorful pecans. Date Palm – This tropical tree grows best in hot, dry climates. Like most Palm trees, the trunk of the tree is bare and the leaves are clustered at the top. When dates form, the seeds of this plant, they hang down from the crown of the tree in large clusters. Dates are very sweet and are used in many ethnic cuisines. They are best kept and eaten when they have been dried. The sap of the Date Palm can also be used to create a syrup or sweet drink if desired. As you can see it all depends on your growing zone but you can easily find a tree that gives you both shade and food. Fruit trees are another great option and you can choose climate appropriate ones that serve both your needs and the needs of your environment. Plant a tree and reap the rewards! This is a guest post by Liz Nelson from WhiteFence.com. She is a freelance writer and blogger from Houston. Questions and comments can be sent to: liznelson17 @ gmail.com.